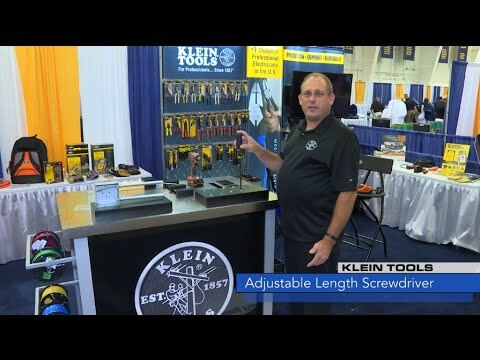 The new Adjustable Length Screwdriver from Klein Tools allows you to work in situations where you need different screwdriver lengths to accomplish a job without the hassle of carrying around more than one tool. Just pick out the size you need with the easy adjustment tool to accomplish any job! Hello, my name is Gary Jost and I’m with Klein Tools. Today I’m showing you our new Adjustable Length Screwdriver. It goes from 4 inches to 8 inches. It has a Philips tip and a flat tip. Right now the screwdriver is fully adjusted but I can easily take the screwdriver and shrink it to a shorter length. It allows you to work in situations where you need different length screwdrivers using just one screwdriver. This tool allows you to pick out the size you need to accomplish your job.